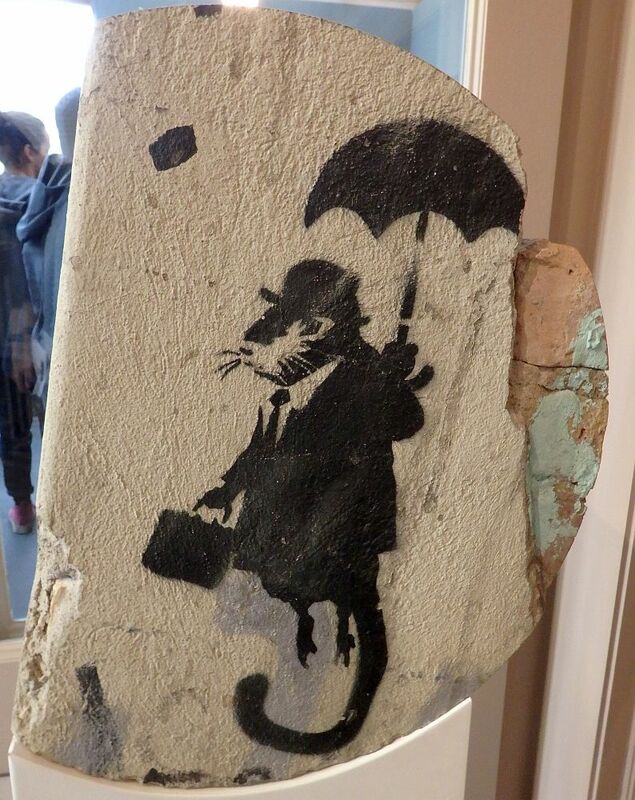 Banksy and Dalí on show in one museum? 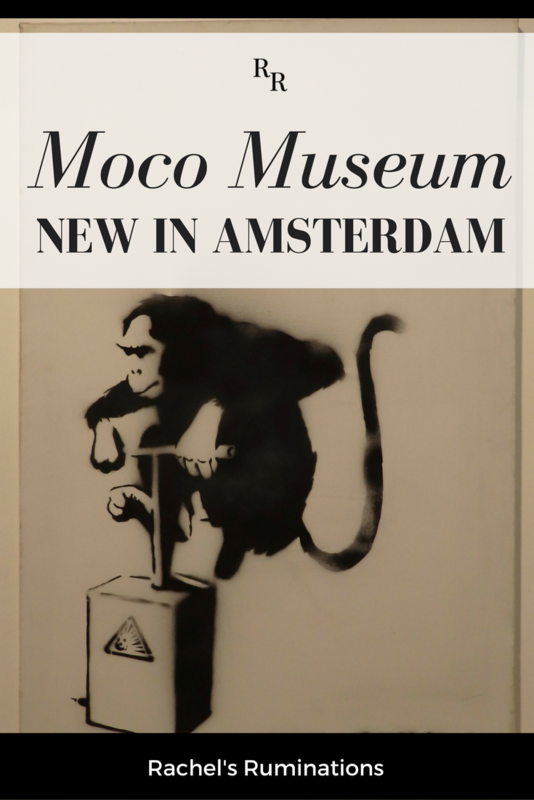 When I heard that, I was definitely up for a day trip to Amsterdam to visit the new Moco Museum. 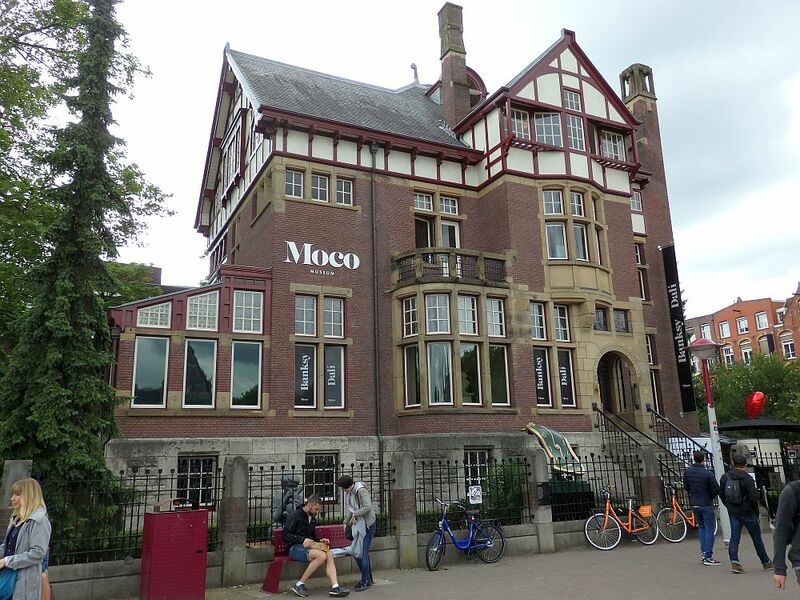 Moco stands for Modern Contemporary Museum and, like the much better-known Rijksmuseum and Van Gogh museum, it is located on the Museumplein in Amsterdam. The museum inhabits a former private home, then school, then law office, built in 1904. Another disclosure: This article contains affiliate links. If you click on one of them and make a purchase, I’ll receive a small commission. This will not affect your price. Created by gallery owners Lionel and Kim Logchies, Moco is a private museum. As far as I can tell, it has no collection of its own. Instead, the owners will borrow the artworks for exhibits using the contacts they’ve built up as gallery owners. At the moment, the Moco Museum has two exhibitions going on: one showing works by the famous graffiti artist, Banksy, and one with works by surrealist Salvador Dalí. 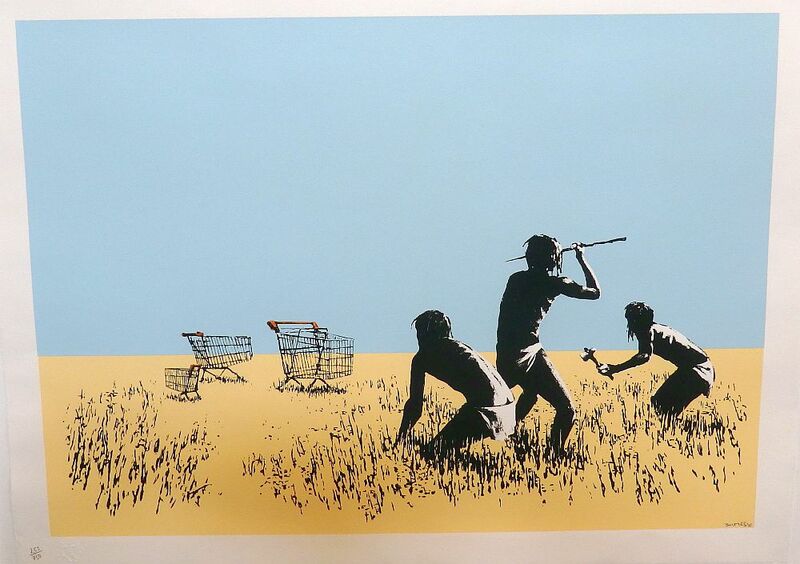 One of Banksy’s political works, but this particular version is on canvas rather than a wall. So how can you exhibit it indoors? Some of the works seem to have been physically cut from a wall, judging by the thickness of the surface. Others were originally painted onto, for example, wooden doors, so they could simply be removed. While many of these works still send the same political message – a child hugging a missile, for instance, or monkeys wearing sandwich boards – this context diminishes their effect. Political street art is meant to be a subversive surprise: something that you might not initially notice as you walk down the street, but that has an impact once you do. It’s also something that everyone can see, without the barrier of an entrance fee. 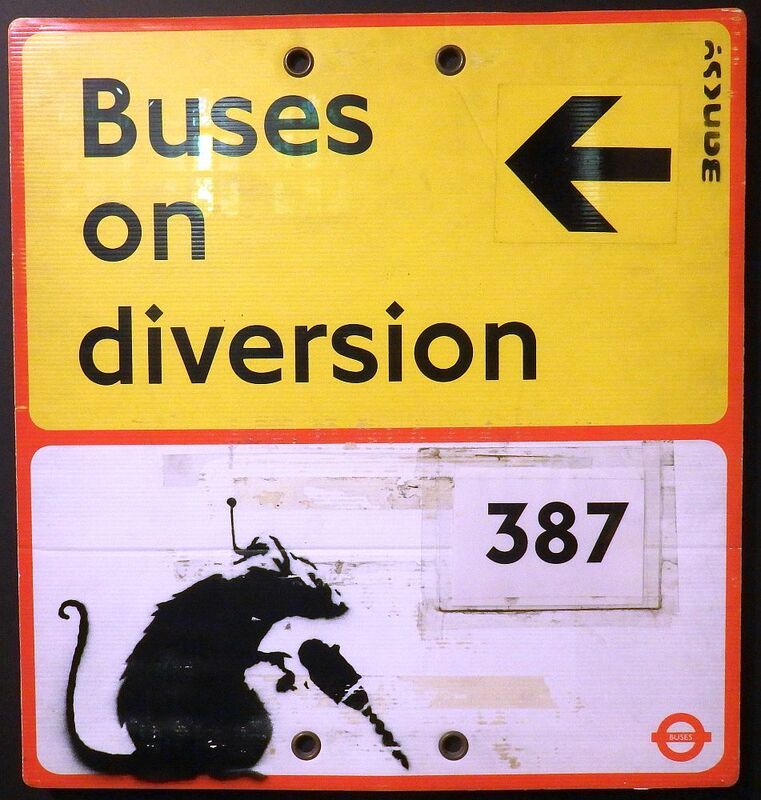 On a traffic sign, you might not initially even notice the stencil Banksy added. I recognized his image of a street protester, face hidden by a kerchief, throwing a bunch of flowers instead of a rock. A slightly different version of it hangs in the lobby of the Walled-Off Hotel (also generally known as the Banksy Hotel), which I visited recently in Bethlehem in the West Bank. The rat images were familiar too, but not in so many poses. 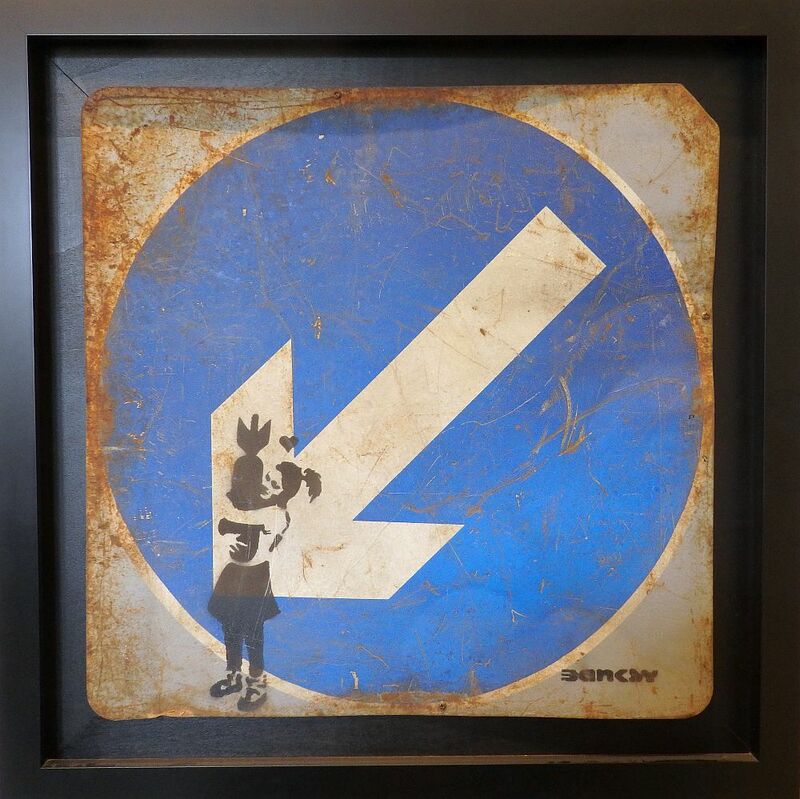 In the slideshow below, you can see a sampling of other Banksy works on show at the Moco Museum. 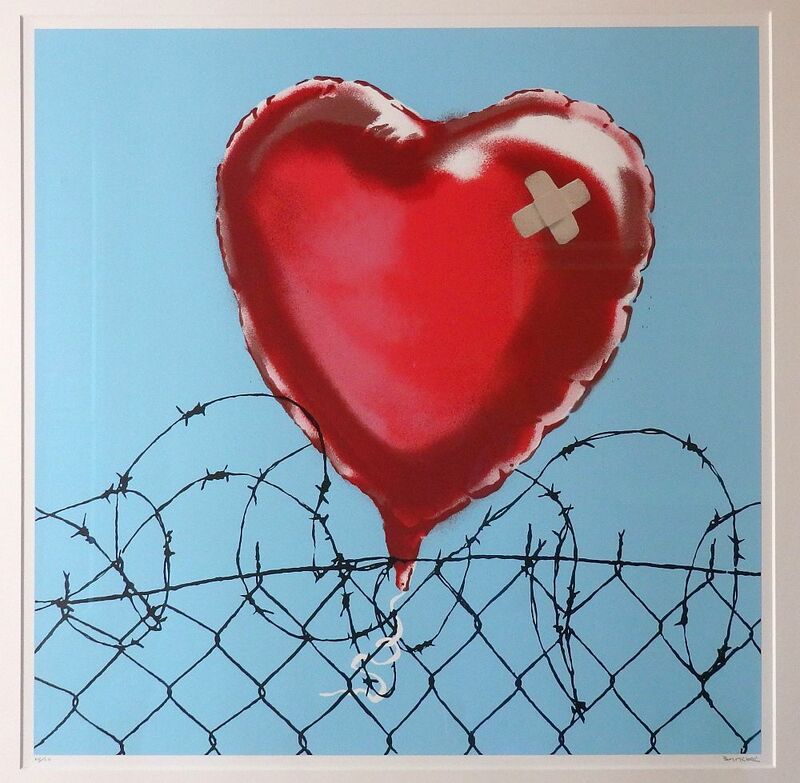 If you like Banksy’s work, check out Artsy’s page on the artist. Update added March 3, 2019: The Salvador Dalí exhibit described below has closed. 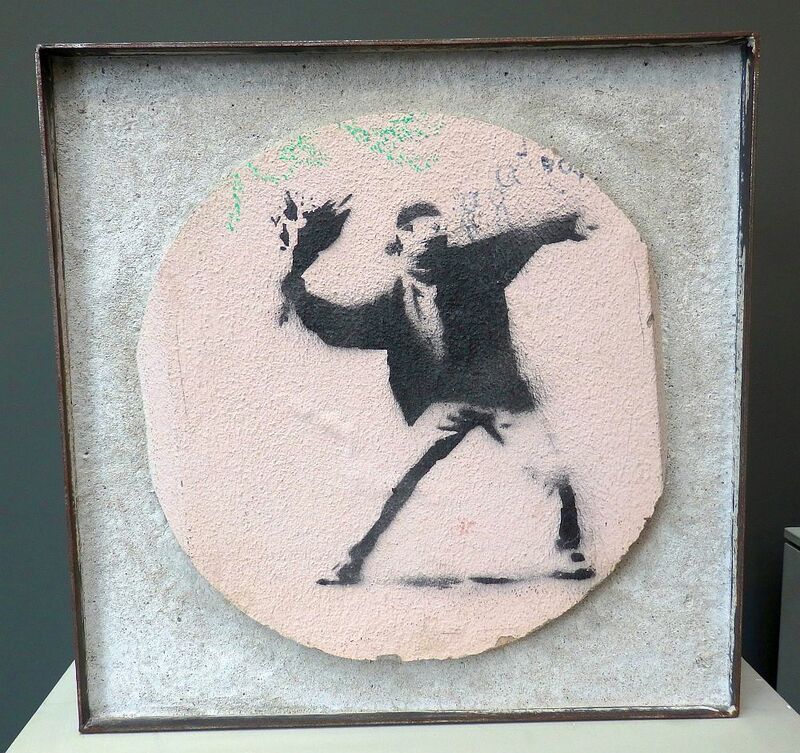 While the Banksy exhibit has been extended to September 30, 2019, the other current show is installations by Daniel Arsham, also until September 30, 2019. 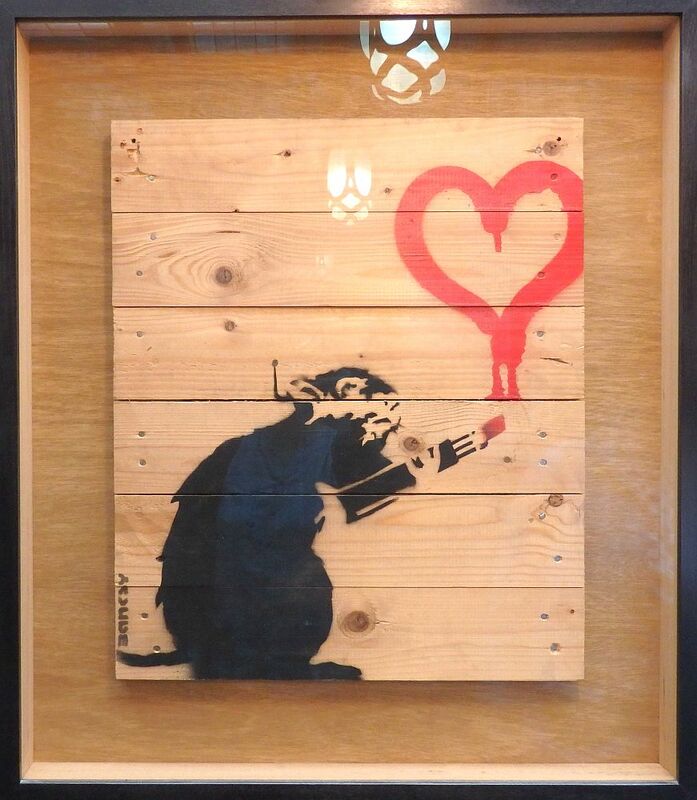 It was a brilliant idea to pair Banksy with Dalí. Both create confrontational, challenging art, even if the messages themselves are different. Certainly Banksy’s art is surrealistic, even though Dalí is far more often associated with surrealism. One of a series of lithographs depicting the Exodus story. 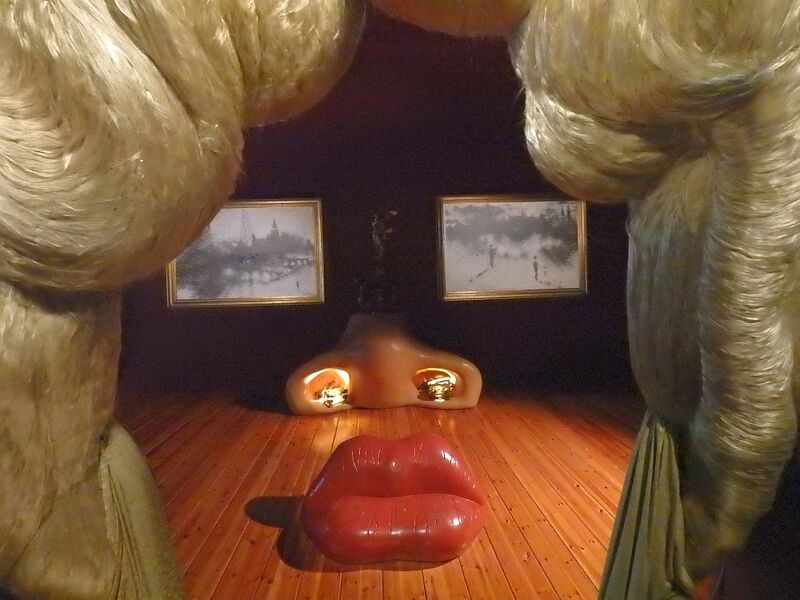 However, since I visited the Dalí Theatre-Museum in Figueres, Spain, just last summer, the exhibition at the Moco Museum seemed meager in comparison. The space devoted to Dalí was considerably less than the Banksy section: almost an afterthought. 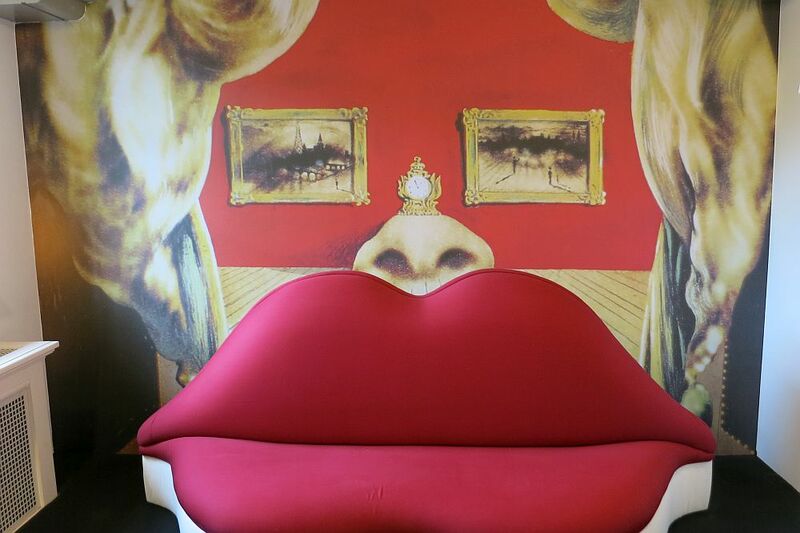 Perhaps because the space was smaller, for example, one of Dalí’s famous sofas in the shape of Mae West’s lips stood in a small room. Behind it on the wall were pictures representing the rest of her face. At the museum in Spain, a version of the same work fills most of a room and all the parts except the eyes are three-dimensional. The image on the left below is the one in the Moco Museum in Amsterdam; the one on the right is in the Dali Theatre-Museum in Figueres. Nevertheless, the collection includes the iconic melted watches in a form I hadn’t seen before: sculpture rather than painting. The melted watch motif, along with others like his elephant with stick legs (a statue of which greets visitors just inside the entrance), and references to his wife, Gala, are all key parts of his work, and this show includes examples of each. 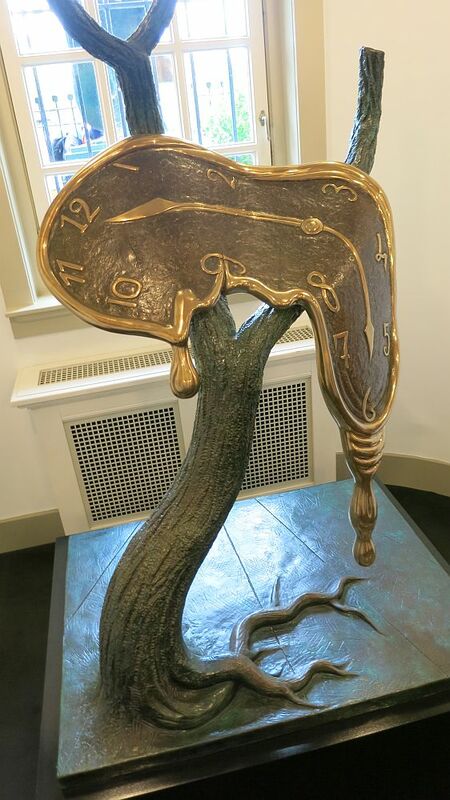 One of several of Dali’s melted watch statues at the Moco Museum. 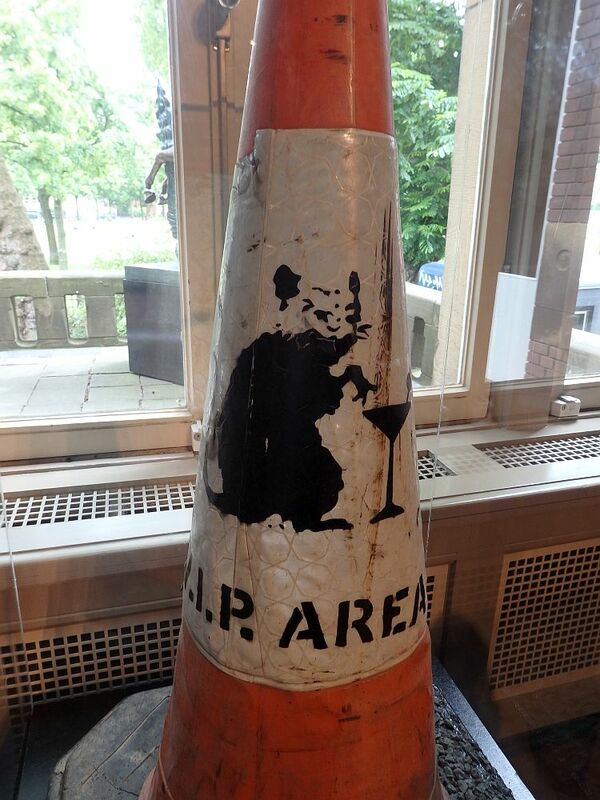 Address: Museumplein: Honthorststraat 20. From the central train station, take tram #2 toward Nieuw Sloten or #12 toward Amstelstation and get off at the Rijksmuseum stop (about 15 minutes). Skip-the-line tickets are €14.50 or $16.50. Oh my goodness! I’ve actually been to this museum, and I can hardly even look at your pictures because it makes me want to go back to my favorite city in the world. When I was there the exhibit was Banksy and Warhol… but omgsh the Dali exhibits look amazing!!!! This museum is really cool. Banksy and Warhol would be a great combination too! 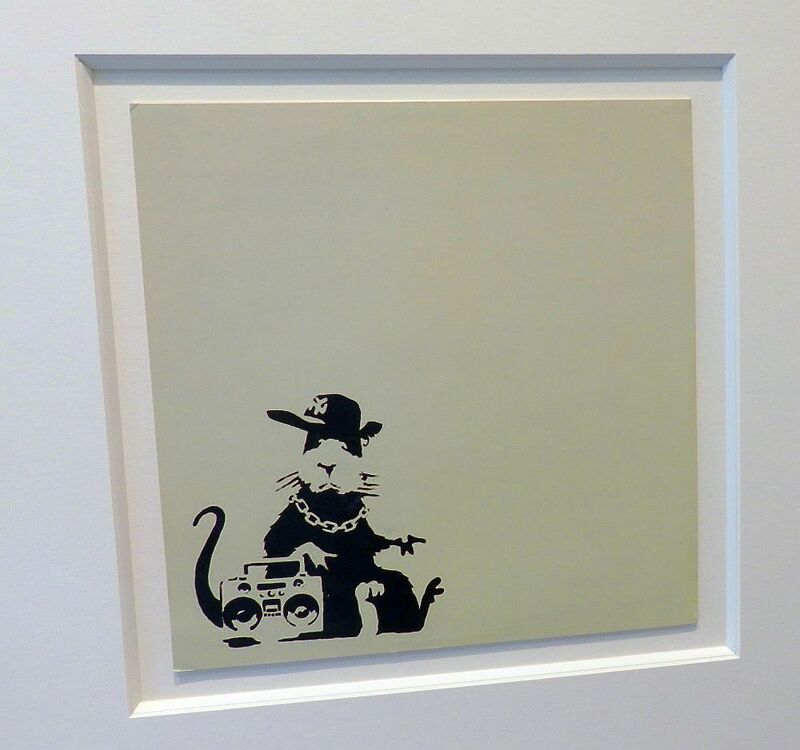 I totally agree with what you say about Banksy being in a museum! 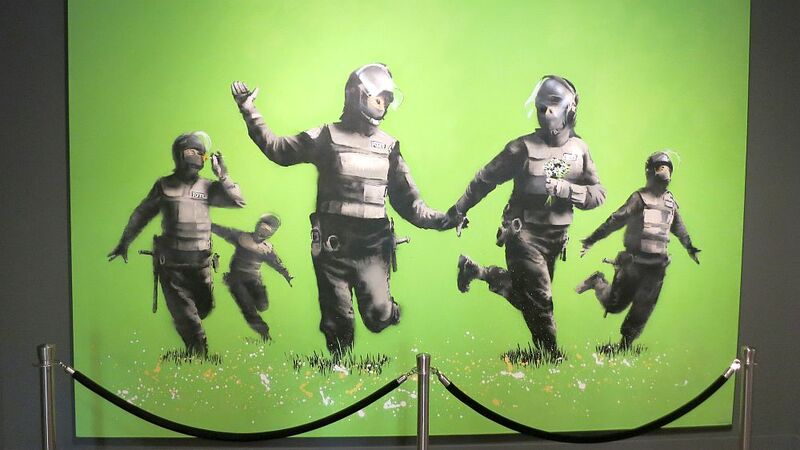 Doesn’t make much sense to me either haha, buuuut for Banksy I might be convinced to actually go to a museum haha. It is a lot easier than going hunting for his graffiti on the street! The Moco Museum is definitely one I would enjoy! 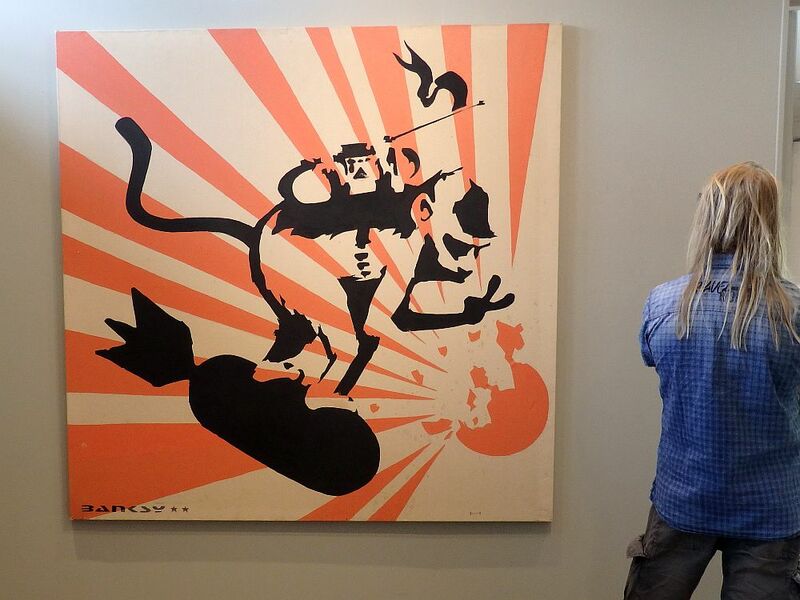 What an opportunity to see the works of Banksy and Dali. It’s great they let you photograph their works. I really enjoyed your article and photos! Yes, all the museums I’ve visited in Amsterdam have let me take pictures. Thank goodness, because blogging would be pretty tough otherwise! Perfect timing because we’re going to be in Amsterdam over the summer and have already visited the other museums. 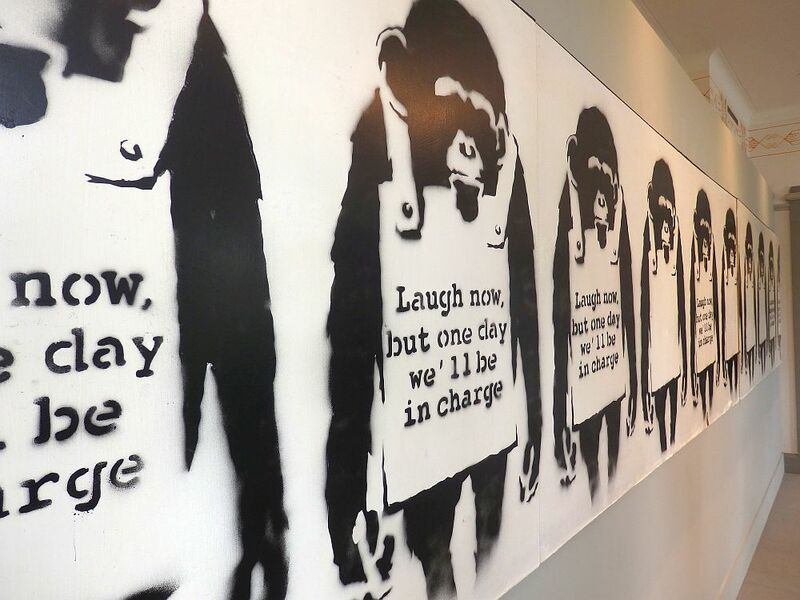 This sounds like a great addition, and I’d love to see the Banksy exhibit! I like that there’s a melted watch sculpture here – I didn’t even realize Dali made any. So even if the rest of the collection was meagre, that would make it interesting. Yes, I didn’t know he’d done sculptures of the watch either. There are at least three in this exhibit. I have photos of two inside and a big one outside, but I might have overlooked more. I’d go to the Moco Museum just to see the inside of that magnificent old house it is in! BTW, does anyone know how many Dali museums there are in the world? They seem to be everywhere. The inside doesn’t live up to its former glory, but some touches remain. The best is the stairway and the upstairs landing. That’s a good question about Dali museums! 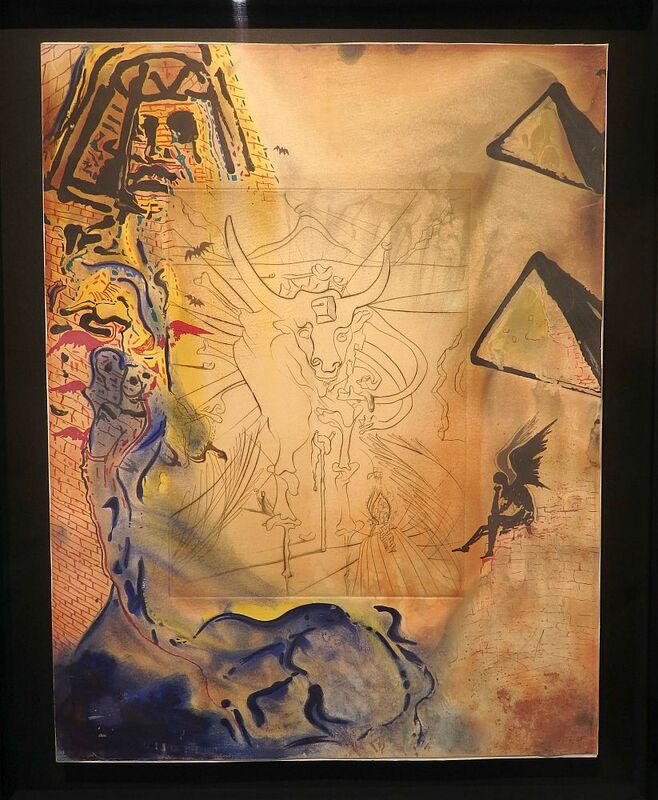 I know of the Gala Dali one in Pubol, Spain, as well as one in London, one in Paris and one in Florida somewhere. I’ve often wondered about the logic of putting street art in a gallery – some cities seem to have permanent street art collections. It shows that it has now become accepted as an art form but, on the other hand, one of the main features of street art is that it is changing all the time. Street art used to usually be illegal too, which made it a temporary and somewhat risky kind of art. But that also gave it an anti-establishment feel. That disappears when it’s taken inside. I would lovd to visit the Moco Museum! It looks fab. Another great addition to Amsterdam! You found a little gem with the Moco Museum. Most of the paintings of Dali I like but watch sculpture is quite something! 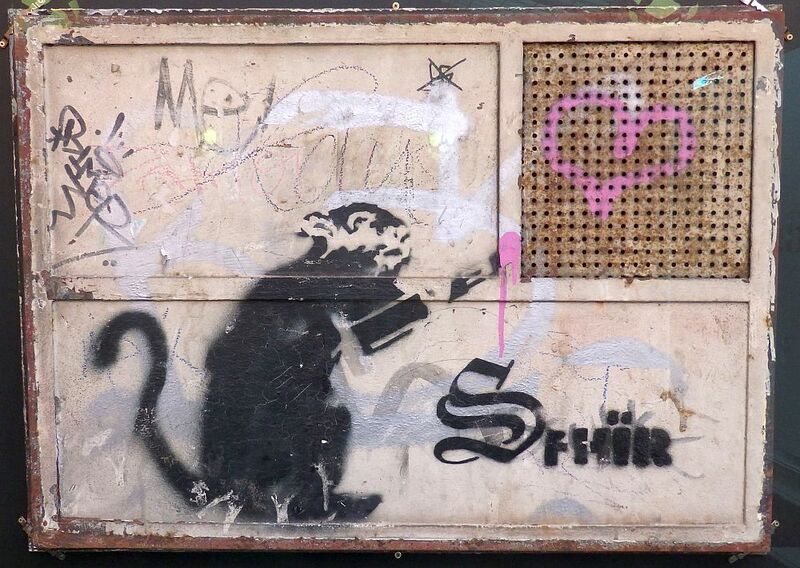 I didn’t know about Banksy, the sprayer. The motives make me thoughtful. Great that his art gets exposure like this. 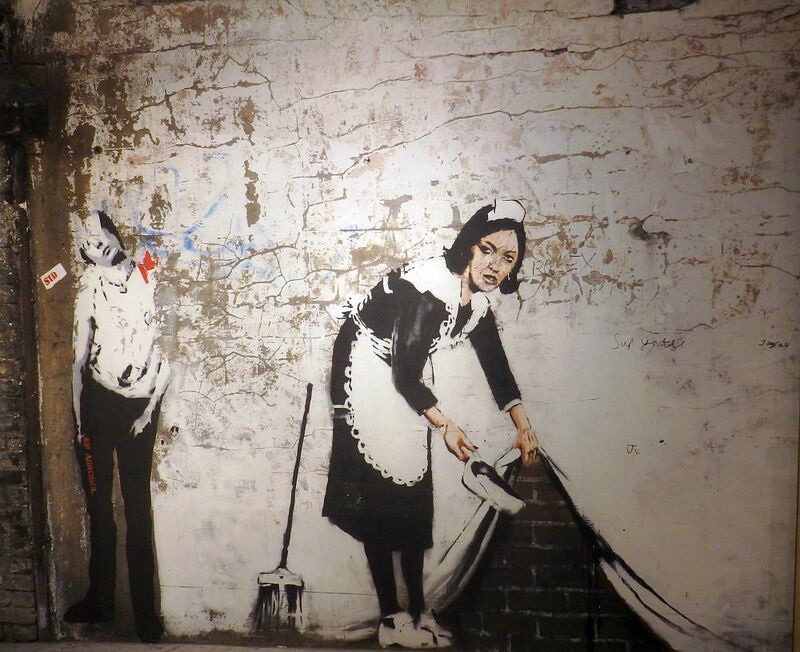 Banksy is probably the most famous graffiti artist in the world. Now that he’s respected as an artist rather than as a vandalizer of buildings, I don’t think building owners mind if he graffitis their buildings. 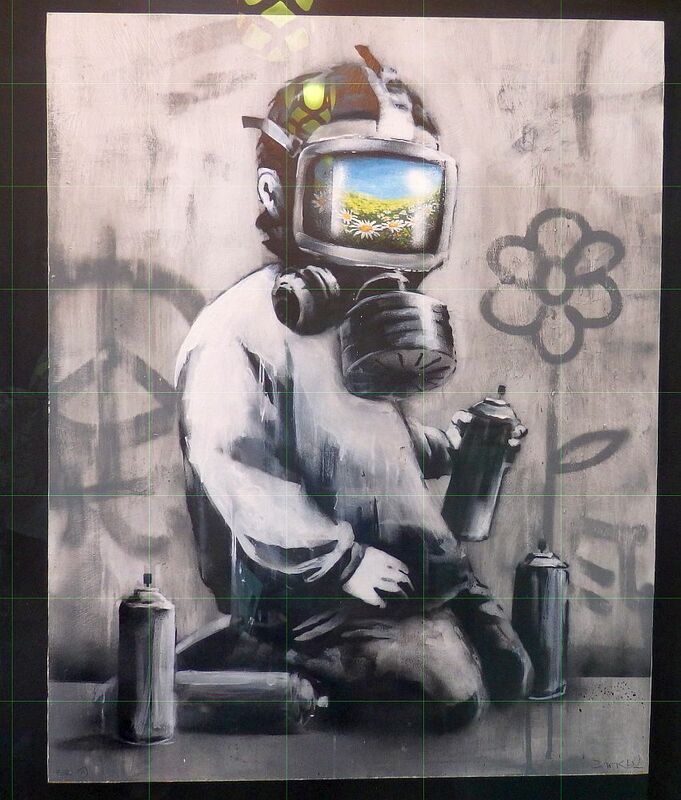 I love the MOCO, I can’t remember which exhibit was there when we were there last but I’d love to see Banksy. Do it if you can! It’s running till at least the end of August; at least you can book a ticket till then.